NOTD: My Last Minute Christmas Nails | Memorable Days : Beauty Blog - Korean Beauty, European, American Product Reviews. Merry Christmas everybody ^^! Stay warm and have a lovely time with friends and/or family! 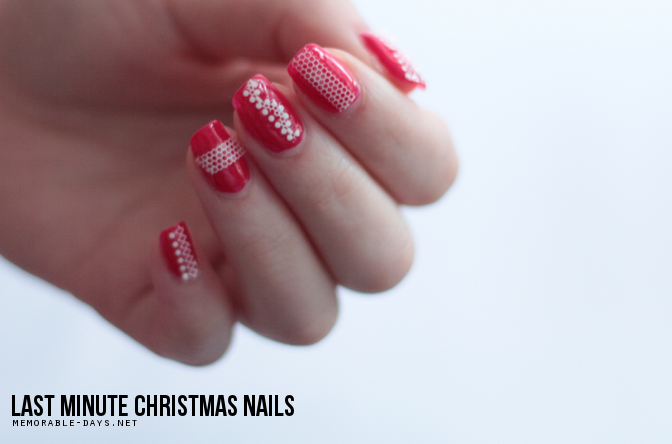 In today's blogpost i'm going to show you my last minute Christmas nails, i kept it simple and without glitters so that i can easily remove it after the Christmas days. I used a March nail polish from bornprettystore.com and some nail art stickers which I got some time ago. More details about my nails can be found below.